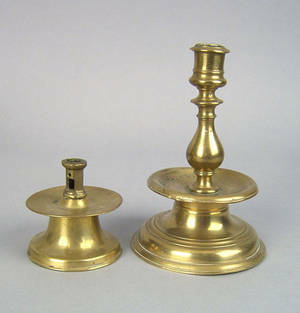 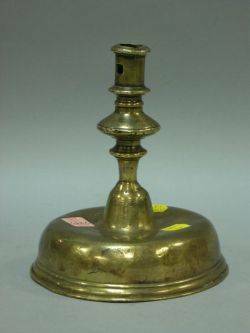 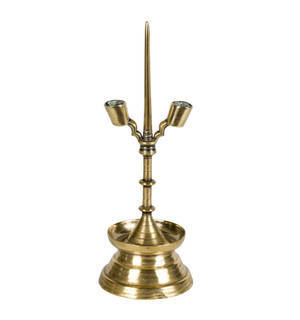 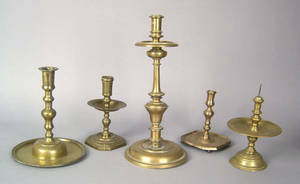 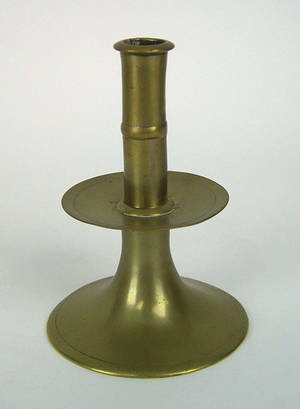 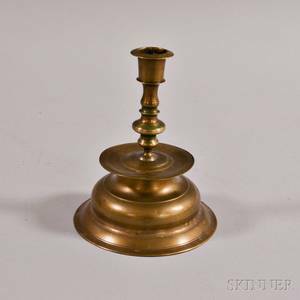 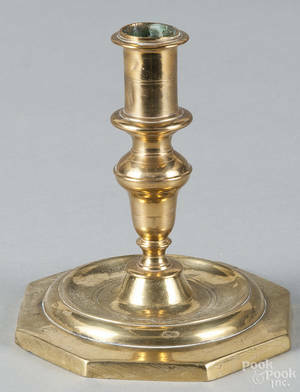 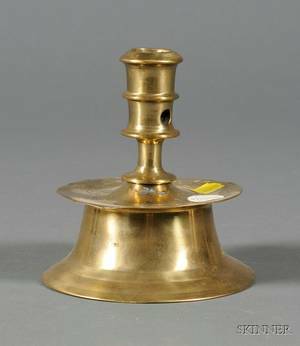 Continental brass candlestick, ca. 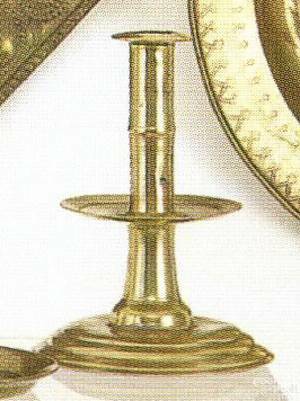 1640 , with mid drip, baluster form shaft and "low bell" base, 7 1/4" h., together with a small brass capstan. 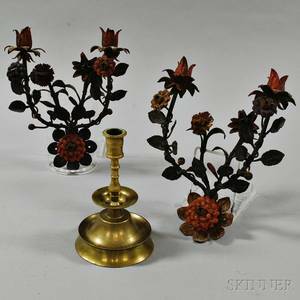 Pair of Polychrome Metal Floral Sconces and a Continental Brass Candlestick.